We were captivated by the Air Jordan 1 Retro High before and we are set to be stunned once again with the release of a fresh-looking edition of high-top classic retro kick. 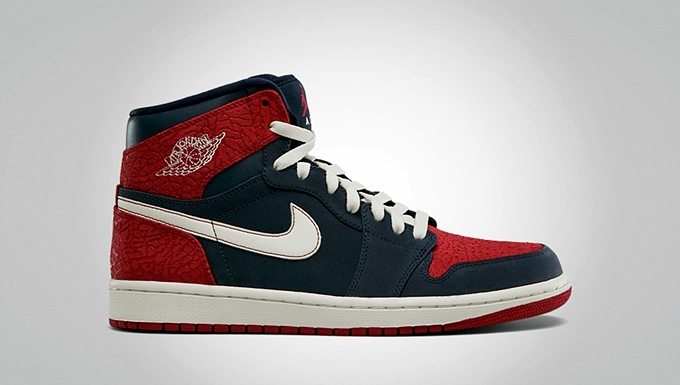 The Air Jordan 1 Retro High will be coming out in Obsidian/Sail – Gym Red colorway on November 10 that will feature premium materials and an enhanced look with the tonal elephant print on the toebox and midfoot underlay combined with obsidian premium leather and sail laces and Nike Swoosh logo. With the much-enhanced look of this kick, expect this new Air Jordan 1 Retro High to get a lot of attention once it hit the market on Saturday next week! Get your own pair for just $110!